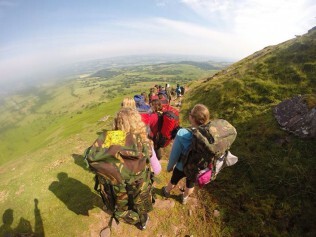 With Maes y Lade situated in the foothills of the Black Mountains its is the perfect location to use as a base for all levels of the expedition part of the Duke of Edinburgh Scheme. It also works as an overnight camp location whilst out on expedition, don’t take my word for it look us up on google earth! Whether on Bronze, Silver or Gold we can put together a package that will work for you so that your group has the best support to complete a successful expedition. Contact the centre on 01497 847236 or email davidh@essexboysandgirlsclubs.org for more information.